ParkCity Hanoi – A new concept of "Parkhome"
Vnre.blogspot.com – Our design philosophy is so build homes that intimately blend with linear park areas. Our approach with a new concept of “Parkhome” will make your living room and master bedroom open to Nature and you will facilities that matters most close by. The first-of-Ít-Kind Visionary Township of Hanoi. 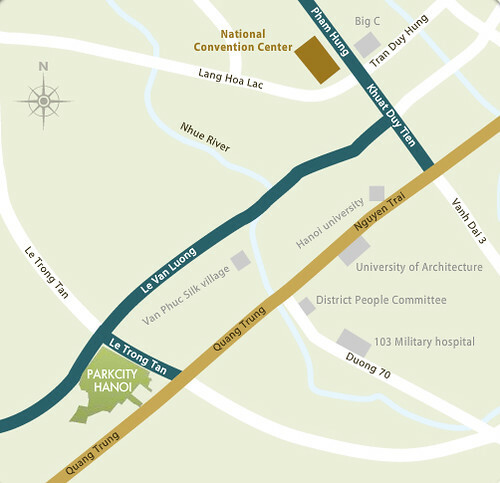 Option 1: From Tran Duy Hung street heading to My Dinh National Convention Center, turn into Khuat Duy Tien road then take Le Van Luong road to ParkCity Hanoi. It is about 5km. Option 2: Going along Nguyen Trai road straight to Quang Trung road, taking a right turn into Le Trong Tan road to ParkCity Hanoi. It is about 6km. 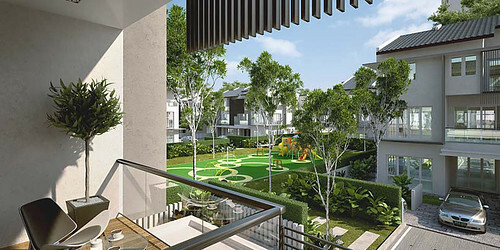 The inspired blueprint of ParkCity Hanoi will encompass a project site of 77 hectares, with 15 distinct neighbourhoods. Once completed, this first-of-its-kind township in Vietnam will be home to 7,000 residential units, a busttling Town Centre spanning 3 hectares, a landscaped Central Park sprawled over 11 hectares, as well as a public school and International School on a dedicated zone measuring 5.7 hectares. 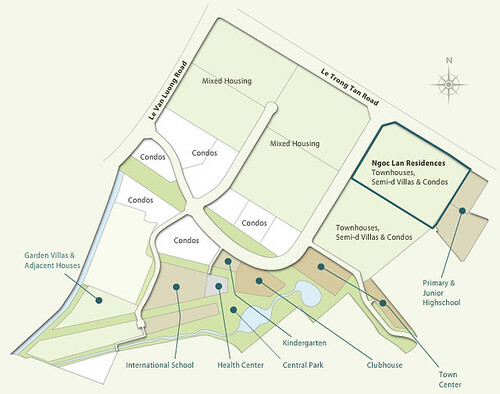 The township will have communal facilities that make residents’ everyday living special and memorable. Every neighbourhood will also feature its own exclusive recreational facilities with serve as garthering places for residents to get to know each other, and become good friends, great neighbors. The central park and lake is the social heart of the community. Because we recognize the importance of open space and Nature for you to renew your spirit and relax, we will place a public park with a lake within walking distance from your future home. 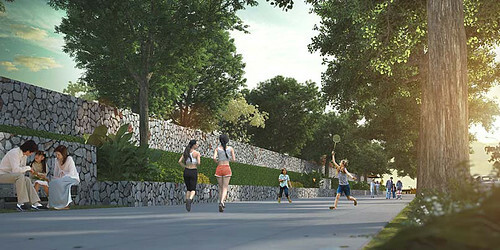 This 11.46 hectare gathering place will be designed with biking, jogging and walking trails, open space, lakes, waterways, a lake front promanade, brenches and pavilions. 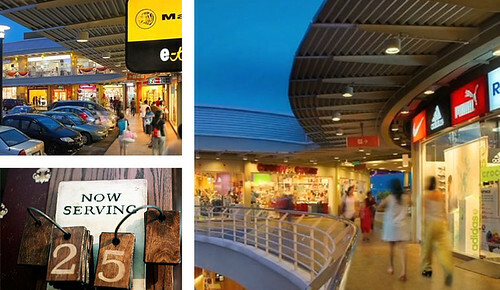 ParkCity Hanoi will have a town center with a good mix of shops, banks, restaurants and entertainments outlets. 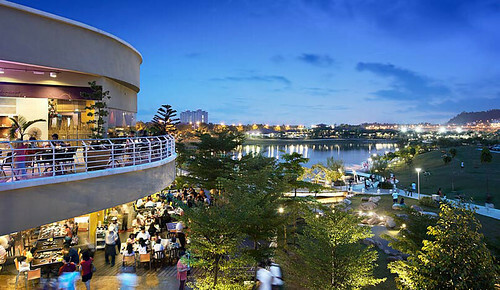 The town center is an important element that makes ParkCity Hanoi a self-contained township. Situated on a 1.07 hectare site, this facility will contain swimming pools, a gymnasium, a childcare center, a multi-purpose hall, cafeteria, badminton courts and other facilities for active and pasive recreation. With a wide range of offerings, you can pick and choose the sports and recreation to your liking. This is to be built on 5.67 hectare of land set aside for a primary school, a junior high school, a kindergarten and an international school within walking distance from the neighbourhoods. Vietnam International Township Development JSC (VIDC), the developer of ParkCity Hanoi project was established in 2008. It is a joint stock company between Vinaconex – Hoang Thanh JSC and Perdana ParkCity (S) Pte.